Since they are giving the ERB testing this week at school, I wanted to give my daughter a smoothie to help her focus and perform her best. 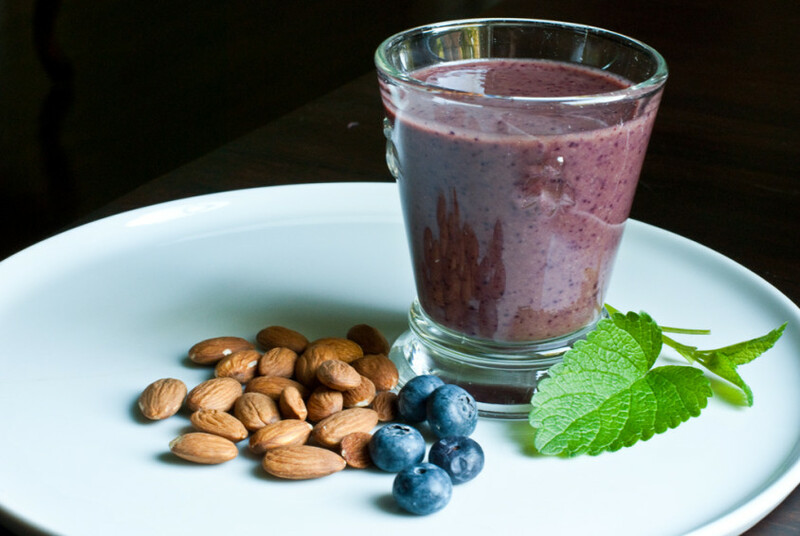 A smoothie with plenty of protein that will stick with her all day. We all can use a boost especially before a presentation, exam or important test. 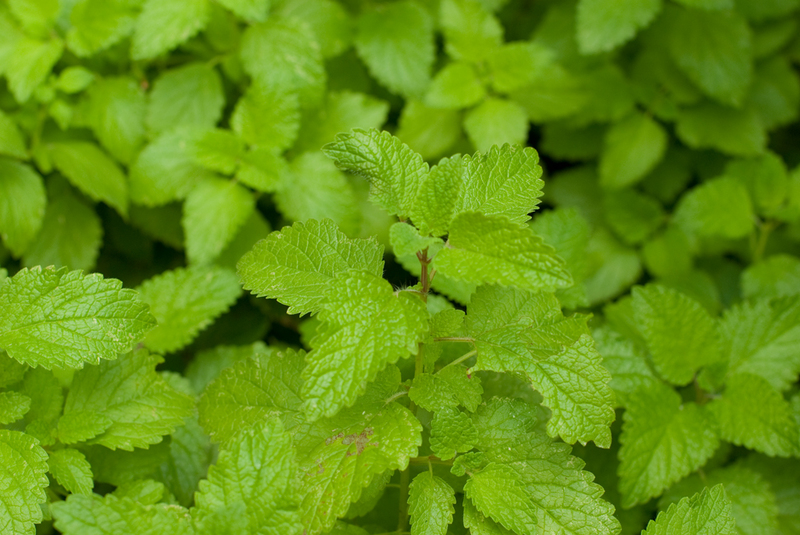 I read a study about lemon balm and how the children tested better for up to 6 hours after drinking a lemon balm tea so I decided to throw in some fresh lemon balm leaves in our morning smoothie. Lemon balm tastes like mint but is sweeter and has a lemon flavor. It grows like a weed if you want to plant some in your own garden. Strawberries are in season and the sweetness always makes smoothies taste better. Plus, there have been studies showing if you eat strawberries at least 3 times a week you will get some amazing health benefits. Strawberries can support your cardiovascular system and prevent heart disease, improve your regulation of blood sugar, prevent certain types of cancer including breast, cervical, colon and ESOPHAGEAL. The phytonutrients may be the reason inflammatory markers like C-reative protein (CRP) lower after continuous consumption. I will be posting many more simple recipes with strawberries. Remember to eat ORGANIC berries since they are so heavily sprayed with pesticides. The other fruits and vegetables in this smoothie were selected for the brain boosting abilities and anti-inflammatory properties. 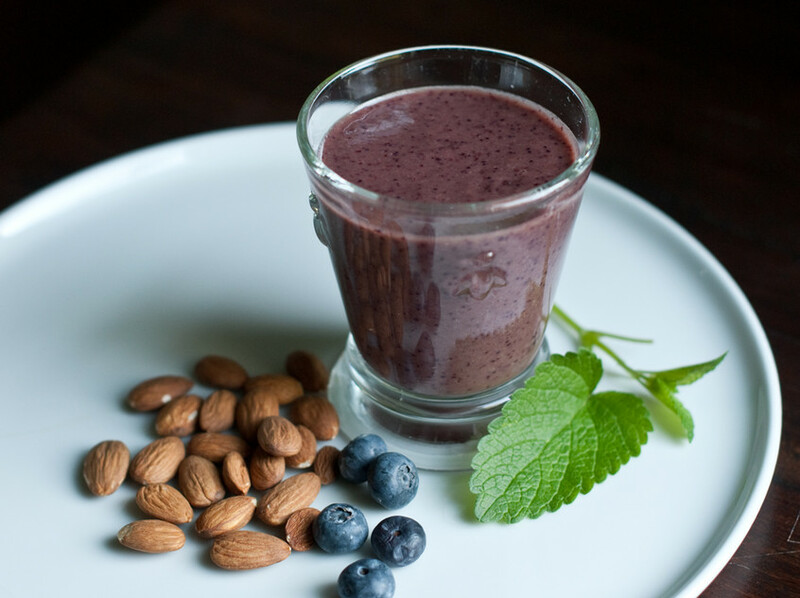 Blueberries are known to improve cognitive function and memory. 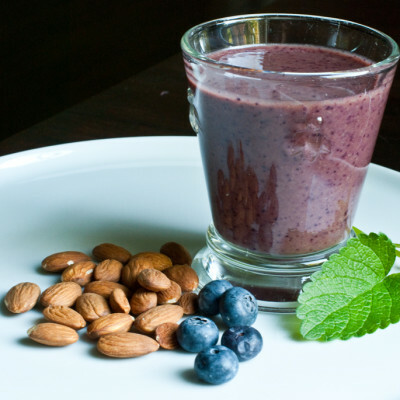 The antioxidants protects the nerve cells from damage due to oxidative stress.I have read the blueberry brain boosting benefits are improved with iron rich greens like spinach or kale. You choose if you want spinach or kale. I prefer the taste of curly kale in my smoothies. 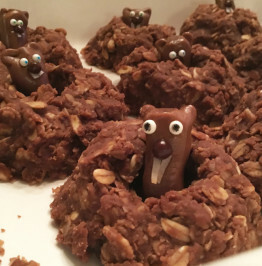 Again, it is very important to eat organic. Flaxseed meal is rich in brain boosting Omega-3′s, Wheat germ provides vitamin E, fiber, and folate, Ginger is a powerful anti-inflammatory and can soothe an upset stomach if you are nervous, and Greek yogurt gives protein for energy as well as good probiotics for your digestive system. The coconut water will hydrate and provide your body with magnesium and other electrolytes. 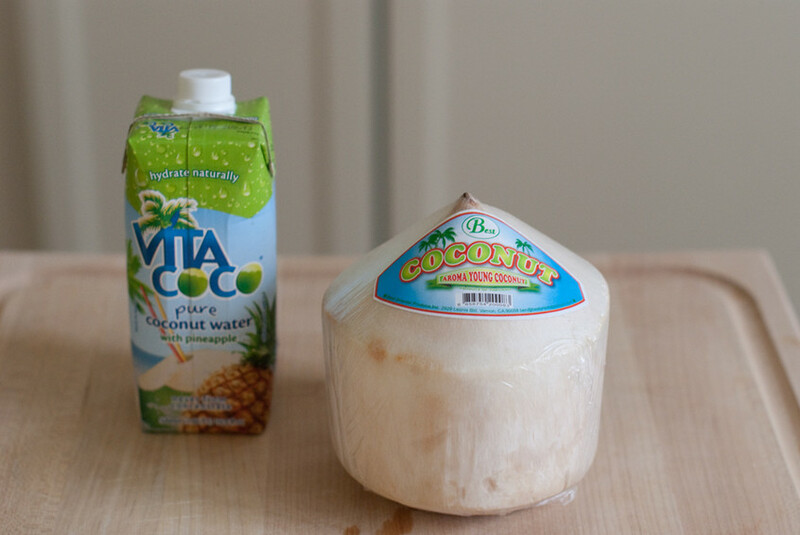 You can easily open a young coconut or buy coconut water in a container. If you do not have coconut water, use water or apple juice. I always add a banana for the potassium and texture. Frozen bananas work really well. 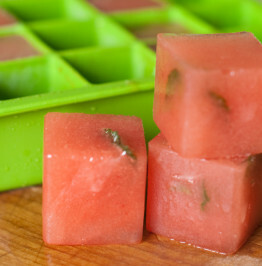 They are a great substitute for ice cream when making mikshakes. 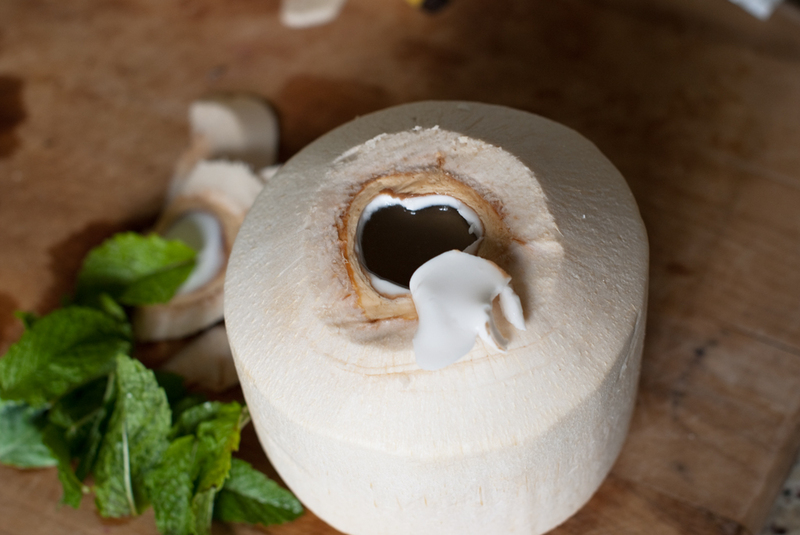 1) Open a coconut and pour in 1 cup of coconut water into the blender. 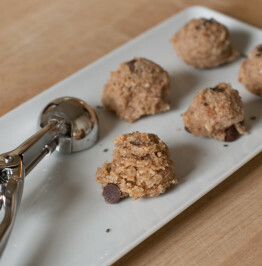 2) Add 1 tablespoon of flaxseed meal or chia seeds and 1 tablespoon wheat germ. Let sit for 5 minutes. 3) Core an apple and throw it into the blender. Add a handful of kale or spinach, a large piece (about 1 inch) of ginger with the skin peeled, a banana, 1 cup of strawberries, blueberries, and frozen sweet cherries, 1/2 cup greek yogurt, 1/4 local honey. Blend well. 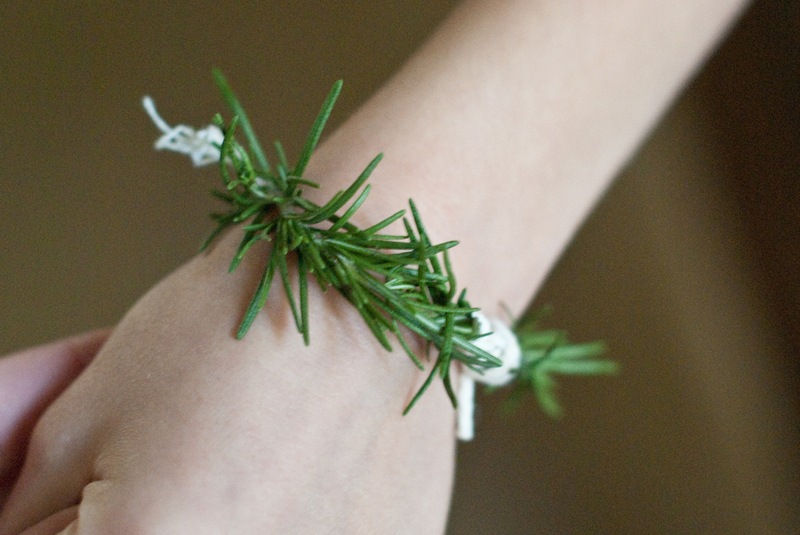 Serve with some almonds for more vitamin E.
If your child wants to be like the ancient Greeks, make a rosemary bracelet or necklace for them to wear during the test. If they get frustrated or tired, have them take a deep breath and smell the rosemary. It will help them relax and focus. My daughter felt special wearing one today. * Flaxseed meal Rich in omega-3s, powerful fatty acids that strengthen immunity and promote heart and artery health; add 1-2 tablespoons (per tablespoon: 34 calories, 3.5 g fat, 2 g carbs, 2 g protein, 2 g fiber). * Wheat germ Excellent source of fiber, folate and the antioxidant vitamin E; top smoothie with 1-2 tablespoons (per tablespoon: 25 calories, 0.5 g fat, 3 g carbs, 2 g protein, 1 g fiber). * Nonfat dry milk powder Excellent source of fat-free, high-quality protein; add 2-4 tablespoons (per tablespoon: 15 calories, 0 g fat, 2 g carbs, 2 g protein, 0 g fiber). * Light or nonfat soy milk Rich in iso-flavones that help build bone mass, reduce heart-disease risk, may impede malignant tumor growth and reduce hot flashes in menopausal women; replace milk or yogurt with soy milk (per cup: 110 calories, 2 g fat, 20 g carbs, 3 g protein, 0 g fiber). * Powdered acidophilus Helps maintain the balance of intestinal “flora,” which promotes healthy bacteria that fight “bad” bacteria in the gut. The powder form provides a much higher concentration of the desired organisms than yogurt or acidophilus milk. Always follow label recommendations for powdered acidophilus.